- Heat dissipation is a performance limiting parameter in many portable electronic products. - Fuel cell efficiency of ca. 50% increases total thermal load of a portable device by 80-100%. - Thus it is a technical challenge that a system with portable fuel cell remains within allowable operating temperatures. - A liquid cooling loop is not applicable in miniaturized systems. 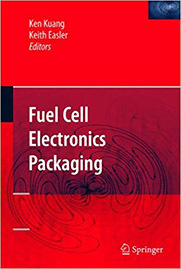 - Accurate thermal models are needed to develop the systems integration of fuel cells. Future studies will include transient thermal behavior, the influence of varying ambient temperatures and humidity as well as full systems integration.